It’s cheap, it’s secure, it’s cheap, it’s British, it’s cheap, the spec is not bad. Did we mention it’s cheap? 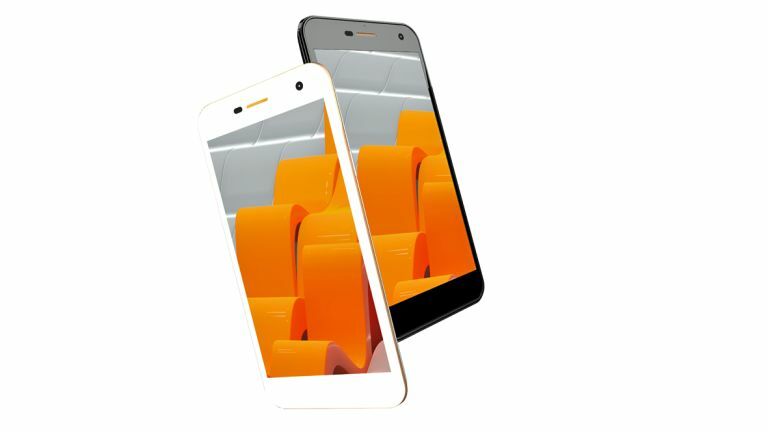 Today British handset manufacturer Wileyfox revealed three new smartphones: the Spark, Spark+ and Spark X.
Wileyfox says the consumer is at the heart of all its decisions, and if that's so, what the consumer wants right now are privacy and customisation. They're at the heart of the Spark range. Clearly, the range-topping Spark X is the most interesting prospect here. Here are six reasons why you should consider picking one up, before it attacks the mobile hen coop and kills all the smartphone chickens. Wileyfox is trying to strike an almost unprecedented balance between price and specs. The Spark X is the beefiest in the lineup yet still costs only £130 (The base model Spark is £90; the Spark+ £115). What can you buy for 130 quid these days? Barely one third of a OnePlus Three. The Spark X is a 5.5-inch whopper with a quadcore chip, 1GB of RAM, a 13-meg camera and 16GB of internal storage that can easily be upgraded via a microSD card. An 8-meg sensor on the front cam means you're looking GREAT in selfies. Yeah, the screen only has a 1280x720/267 pixels per inch resolution, but it isn't like it's horrible to look at or anything. The absence of NFC might be more of a problem here, as people are already becoming accustomed to Android Pay, and they'll be disappointed when they come to pay for sandwiches in Pret. Yes, PIN scramble is on board. One of the biggest selling points of the Spark range is the fact they come equipped with the Cyanogen version of the Android operating system. Wileyfox is touting how this will improve the security of the device, via features such as Pin Scramble. Anyone with a passcode on their phone will know the fear of someone else memorising the position of the buttons on screen and getting into your phone. Er, we expect. PIN Scramble changes the positions of each number on the keypad every time you go to unlock your phone, so tapping top left does not necessarily mean tapping a “1”. This means anyone looking at the order you tapped is not going to know your PIN. Fingerprint recognition has pretty much become the gold standard for security on a phone, but it costs. Wileyfox has created a neat way to protect your device a bit further without having to increase the price of the phone by adding a fingerprint sensor. Wileyfox wasn't joking around when it said it had privacy at the forefront of its foxy mind. On the Spark range, every app, along with every folder, has the ability to be password protected. If you're worried about someone else getting into your phone, the Spark range certainly provides as many layers of barbed wire as possible to stop your phone being infiltrated. This also, of course, addresses the problem of letting someone else use your mobile, and them immediately making a beeline for the folder with THOSE photos in. Themes are one of the most talked about feature of this new phone lineup. Both free and paid themes are available and are updated regularly. Ever wanted the perfect Batman vs Superman 'look' for your shiny new phone? The Spark X and its pals has you covered. The Cyanogen OS also brings True Caller: caller ID for people who aren't in your contacts. If someone is known for spam calls you'll know as soon as they try to call you, as a notification will appear on screen showing you how many other users have reported them as spam. Be gone, woman from Sri Lanka trying to sell you PPI compensation services! Cyanogen is a version of Android that's all about ditching the bloatware of other devices. It focuses on making the user experience snappy and customisable. Wileyfox says the OS is going to be integrated with future apps coming to the Spark line - being able to order Cortana to take a selfie of you was one promised feature. The open nature of Cyanogen means there will be many modifications coming to it down the line, that'll help you tailor your Wileyfox phone more perfectly to your needs.